Flickr has today added new Group features to its photo sharing service, together with a Justified View, providing the ability to submit photos directly to Groups via the Uploadr and brand new API methods for developers. 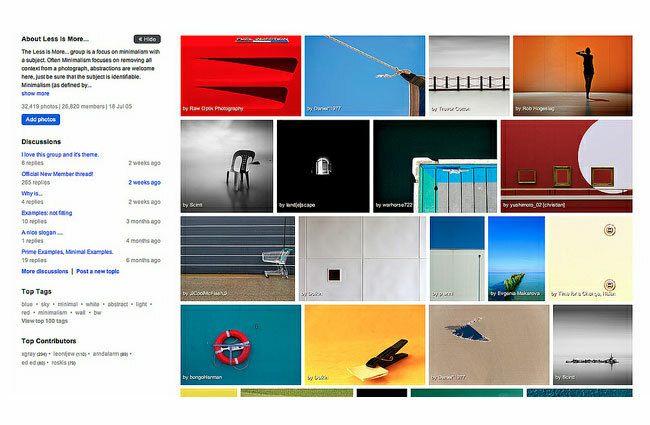 Since Justified View was launched Flickr users have been requesting that the feature be added to Groups. Flickr has now listened to the masses and from today can now browse the 1.2 billion photos in Flickr groups in their new Justified View. As well as the new Justified View, Flickr has also added the ability for users to submit photos directly to groups directly from its Uploadr facility. Simply click the “Add to Group” link within the editing panel and your photographs will be sent to the group at the same time that they’re published on your photostream. For more details on the new additions jump over to the Flickr release notes.